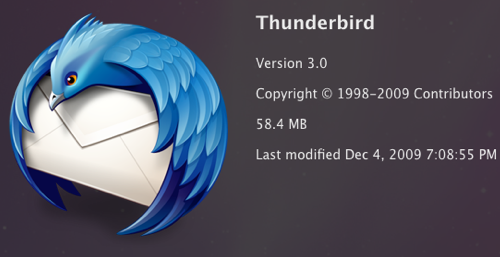 thunderbird-3.0b1pre: This message may contain a virus or there is	not enough disk space. Skip this message? "This message may contain a virus or there is not enough disk space. and this message doesn't contain a virus. The same profile works fine with Thunderbird 2.0.0.16. >  "This message may contain a virus or there is not enough disk space. > and this message doesn't contain a virus. > The same profile works fine with Thunderbird 2.0.0.16.
Who is General Failure, and why is he searching my HDD? Kernel Restore reported Major Error used BSOD to msg the enemy! >>   "This message may contain a virus or there is not enough disk space. >> and this message doesn't contain a virus. >> The same profile works fine with Thunderbird 2.0.0.16. How is this AV-thingy supposed to work? one plain text word in subject / body. >>>   "This message may contain a virus or there is not enough disk space. >>> and this message doesn't contain a virus. >>> The same profile works fine with Thunderbird 2.0.0.16. > Indeed, this was it. > How is this AV-thingy supposed to work? > one plain text word in subject / body. it set may result in unpredictable consequences.